In 2003, we had a massive 37-inch snowstorm over two days in Fort Collins. Everything shut down for a couple days – no work, no school, no cars. The only way you could get around was by ski or toboggan. When we began brewing Snow Day, we looked to this one storm for inspiration. The dark characters of the malt bill reflect the dark stormy sky at the beginning of the snowfall. But on the third day, the sun broke through and everything was glorious! The name Snow Day evoked joyful freedom. Everyone remembers waiting for the school report as little kids. When you heard your school was closed, you suddenly had all day to play in the transformed, white landscape. Well, that’s the kind of emotion we put into this beer. It reminds you to enjoy the unexpected. 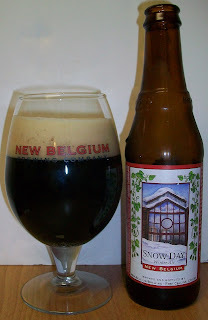 I actually drafted this post and reviewed this beer back on December 30th. I'm just getting over a painful case of the Shingles and I'm finally getting back to my blog. Every time that I’m at State Line Liquors I look for something new from New Belgium. I saw this around Thanksgiving and bought a 12 pack without even knowing what style it was. I have been serving this to Christmas visitors at the house so I figured it was time to give this a full review before I run out of them. 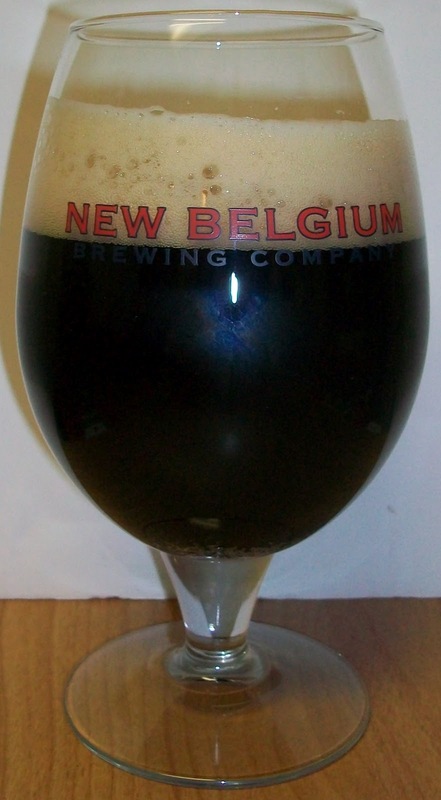 The beer pours a dark brown, almost completely opaque with just a hint of ruby hues peering through the bottom of the glass. This beer also produced a very rich tan head. The nose is rich with dark roasted malts aromas with notes of caramel, chocolate and dark fruit. There are also very strong pine and citrus hop aromas on the nose. Wow, what a fantastic first sip. This may be my new favorite Black PA. The experience starts out with a dark malt sweetness up front on the tip of the tongue. That is immediately followed by a tingling as this rich ale washes over the tongue in the middle of the sip. The back end is rich almost robust but also fairly easy drinking. There is a hesitation at the top of the swallow but that is no more than what would be experienced in an American IPA. The finish is fantastic with rich dark roasted malts along with the pine and grapefruit bite of an IPA; also nicely balanced. The final aftertaste is both dark malts and hops. What a great beer. The dark Midnight Wheat malts add a unique character to this beer that is not in the other Black IPA’s that I’ve had. The head on this beer has not quit. It has reduced to a nice protective layer over the top of the beer and leaving some amazing lacing. The rich head is also adding a creaminess to each sip; very impressive. Well, this first beer is almost gone. I’m so glad I have more. 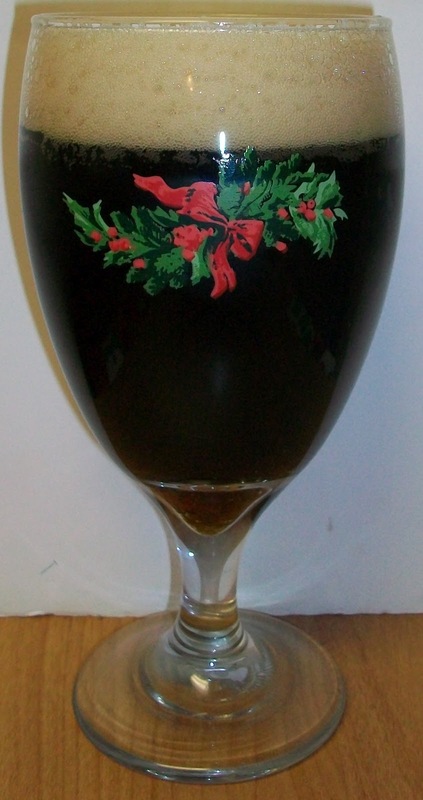 Since this is a winter seasonal I poured the second one is more appropriate Christmas glass. I’m going for an A on this one. I don't think your think your find a better Black IPA on the market. Although I really should head to head with my previous favorite Otter Creek Black IPA. This is impressively crafted Black IPA with rich dark malt flavors with a nice hoppy bite on the finish. What a great experience.